Why are the measurements in the title different from those in the description? The measurements in the title are the nominal industry-standard measurements. However, not all manufacturers adhere to this standard, so the actual measurements are included in the description. 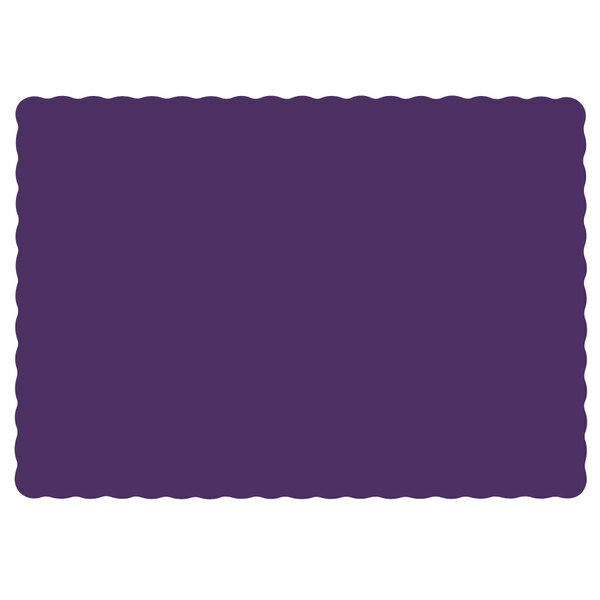 Add a touch of color to your tables with this Hoffmaster 310557 10" x 14" purple colored paper placemat with scalloped edge! 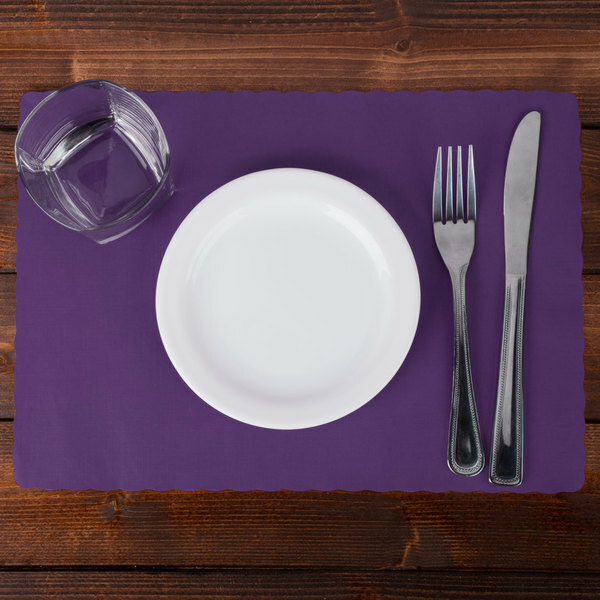 Not only will the bold, purple color accent your decor, the placemat will also create a sanitary, individual surface for your guests to enjoy a meal on. Plus, it can easily be laid on tables or a bar at your restaurant or catered event. This unique placemat is perfect for protecting your tables from spills and messes. When your guests have finished eating, it is conveniently disposable for easy clean up. Beautiful colors with a huge variety. Nice thick placemats that can be coordinated to any event or theme you are having. We use them for our dinner meetings. We couldn't find this any where. Thanks for having them. We will certainly look for more products with your company. You have a good selection. Love, love, love these placemats. We order 5 cases every month in various colors. You will NOT find a better price out there. Look very nice on the tables.